“This report examines separately the revenue and expenditure claims of the amendment’s proponents”. On Thursday, March 28, the Municipal League unanimously passed a resolution opposing the petition initiative which proposes to unify St. Louis County and the City of St. Louis and which would eliminate local government resulting in the reduction of services provided to the residents of St. Louis County and affirms its support for a Petition for the formation of a Board of Freeholders/Electors. This is a critique of the governance provisions in the Better Together Plan (March 25, 2019 version). Most of the points have been made in one venue or another but this lists most of the major issues. It is intended to help all of us understand fully what is being proposed. Click the link below to view the State Auditor’s Fiscal Note concerning the Better Together Proposal. Fiscal Note raised more questions than it answered. high quality of service delivery. Once signatures are collected, the petition must be signed by the solicitor in the presence of a notary republic. Most city clerks are notary republic who provide this service. You may leave the completed petition with the city clerk who will notify the League office for pickup or return the petition to the League office; 1034 S. Brentwood, Richmond Heights, MO 63117. Failure to Appear – Senate Bill 5 passed in 2015 prohibits municipal courts from imposing penalties on defendants who fail to appear in court (RSMO 479.360(6)). Restoration of the authority of municipal courts to induce compliance with bench warrants for the failure to appear is essential to an effective municipal court system. The League support legislation to provide a mechanism for enforcement of failure to appear. Statewide Vote on Local Issues – Legislation has been discussed to place on the statewide ballot a constitutional amendment to change the government structure of the city-county and municipalities. Residents of other parts of the state do not understand the issues here and have no stake in the outcome, just as St. Louis County residents do not seek to vote on issues in Kansas City, Springfield or other parts of the state. The League supports local autonomy and opposes legislation authorizing statewide votes on local issues pertaining to individual or limited political subdivisions which would threaten neighborhood stability. Collection of Internet Sales Tax – The League urges the Missouri General Assembly to require that all sales and use tax taxes on sales of tangible property be treated fairly and equitably, whether the sale takes place over the counter, by phone, by mail order, by internet or by any other electronic means. Recently, the U.S. Supreme Court reversed a 1992 ruling (Quill Corp. v. North Dakota) that held sellers only had to collect a state’s sales taxes if they had a physical presence in the state. The Supreme Court in South Dakota v. Wayfair ruled that a state may require online sellers to collect state and local sales taxes when the seller does not have a physical presence in the state. The League urges the Missouri General Assembly to enact legislation that allows local and state sales/use taxes to be charged on purchases made from out-of-state sellers, even if the seller does not have a physical presence in the state. Further, the League supports the simplification of the sales/use tax statutes to make it easier for out-of-state businesses to remit state and municipal sales/uses taxes. Any simplification of the sales/use tax statutes shall hold municipalities harmless from revenue reductions until the Missouri General Assembly requires out-of-state businesses to collect and remit state and local sales/use taxes on purchases sold into the state. Missouri Government Expenditure Database – Legislation was proposed in 2018 (HB 2442) which would require all municipalities to provide to the State Treasurer’s office on a monthly basis, a list of all expenditures for posting on the Treasurer’s website. This requirement only applies to municipalities and would not be mandated on any other level of local government. A voluntary system applying to all governments is available in Ohio and provides valuable information to the public. The League supports efforts to establish a local government expenditure database but only if it applies to all governments and participation is voluntary. High-Speed Internet Overlay District – Several cities across the country have begun the process to install high speed internet services for residents and businesses in an effort to boost economic development. In Missouri, Kansas City and Columbia have done so with great success. A collaborative multi-county overlay district would streamline the approval process, lower construction costs and greatly reduce the time needed to install the system. The League supports enabling legislation to establish a High-Speed Internet District for St. Louis County, Jefferson County, St. Charles County and the City of St. Louis. The District governing body would oversee the installation, system management, collection and distribution of fees for an inclusive high-speed fiber network. Prescription Drug Monitoring Program – The Centers for Disease Control and Prevention report that drug overdose deaths and opioid-involved deaths continue to increase in the United States. More than three out of five drug overdose deaths involve an opioid. Overdose deaths from opioids, including prescription opioids and heroin, have more than quadrupled since 1999. Overdoses involving opioids killed more than 28,000 people in 2014. At least 1,066 people died of drug overdoses in Missouri in 2015. Prescription Drug Monitoring Programs (PDMPs) are government-run electronic databases used to track the prescribing and dispensing of controlled prescription drugs to patients. They are designed to monitor this information for suspected abuse or diversion (i.e., channeling drugs into illegal use), and can give a prescriber or pharmacist critical information regarding a patient’s controlled substance prescription history. This information can help prescribers and pharmacists identify patients at high-risk who would benefit from early interventions. PDMPs continue to be among the most promising state-level interventions to improve opioid prescribing, inform clinical practice, and protect patients at risk. Missouri remains the only state in the country without a PDMP. 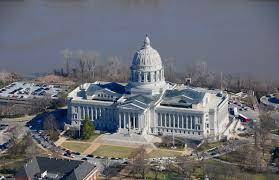 Many Missouri municipalities and counties have enacted their own local PDMP. However, to be truly effective a statewide program is needed. The League supports legislation that would create a state-wide prescription drug monitoring program that would provide physicians and pharmacists with access to a patient’s controlled substance prescription history.